Welcome to Christmas in the beautiful New Forest National Park. As you can see Santa has arrived! Just as a word of warning - in the last few years we've had a bit of bad publicity surrounding a Christmas event which ended up in court. The ones I have recommended here are long established events and companies I can honestly recommend to you. 2 December to 23 December 10.30 to 4pm Longdown Activity Farm is opening its Christmas Barn for children to get into the festive mood amongst all the animals. One thing to note is that the rest of the farm is not open, booking is a good idea and adults without accompanying children will be charged the full entrance rate. Paultons Park Santa's Christmas Wonderland The home of the lovely Pepper Pig! (Long weekends only in December - Friday to Monday ending 23 Dec but please check their website - The last week before Christmas Weds 20th to Sat 23rd open all days. 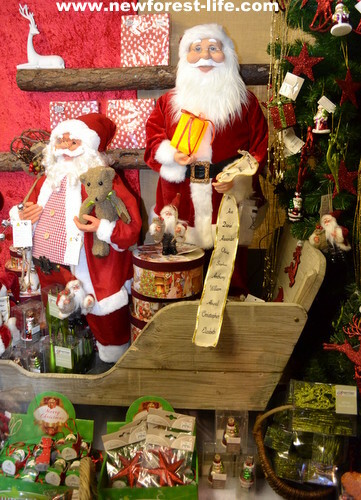 Santa's Grotto offers lots to enjoy here with a chance to meet Santa, who will give you a free gift, enjoy all the rides and meet reindeer Blitzen and Elf Bobo. Book 9.30 to 17.15 but do make sure you check with Paultons direct please. 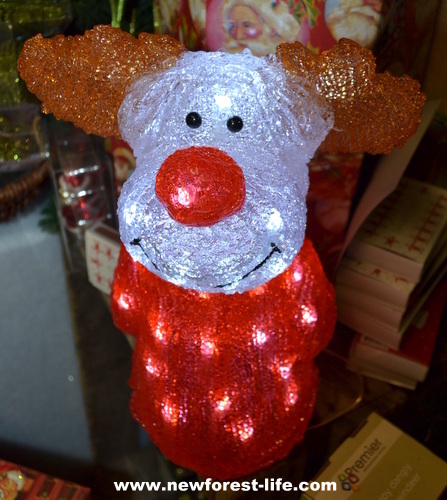 Beaulieu Shop and Online Shop has unusual gifts and traditional toys and motoring presents for the men and boys in your life. I've never visited without finding something I know my son would love. As well as my New Forest Christmas events and present ideas, what if you wanted to buy someone you love the means to build their own website? There's a big discount on creating a website like mine now, so why not find out more? Here's a great idea with a huge discount on at the moment. Tea with Santa Every Tuesday and Thursday at 3.45 5th to 21st December at Steff's Kitchen Beaulieu throughout December. Get in quickly as this is a popular event and sells out quickly! Christmas Lunch here runs from Monday 4th to Sat 23rd December from 12.30 to 3pm. Tip: Don't arrive a minute after and check they can accommodate you before you leave home! I'm proud of the variety and quality of gifts you can buy from New Forest producers. If you visit my Christmas Present ideas I'm sure you'll find some great gifts. Many hold the New Forest marque which endorses they are local products. Grovely Wood stable in local New Forest oak. 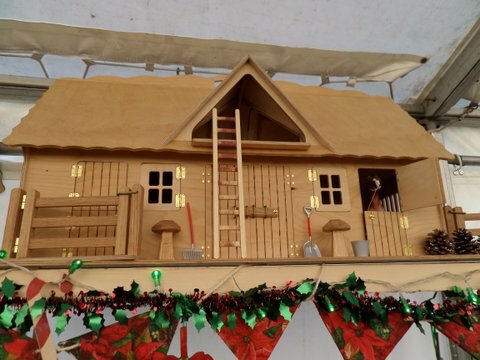 How excited would any child be to receive this beautiful stable as a gift? You'd treasure it forever. I'm incredibly enthusiastic about Grovely Wood Stables and Keepsake horse toys. They are exceptional life time gifts, as you can see here. Grovely Wood Keepsake Horses Your special horse can now live forever! 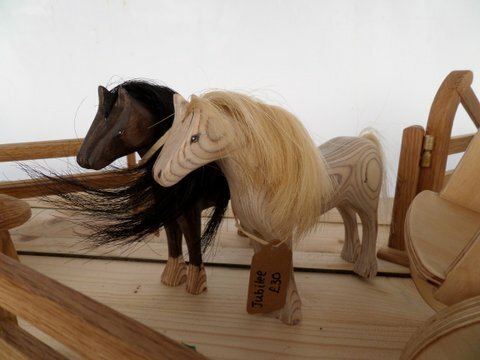 A lock of your precious pony or horses mane can be added to the wooden model of your equine friend! 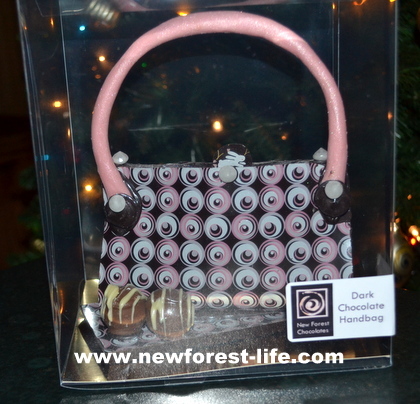 New Forest Christmas Present - a chocolate handbag! What would you prefer at Christmas? A New Forest cottage or a luxury hotel? 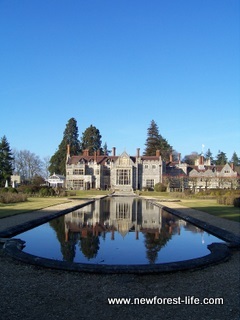 Rhinefield House Hotel is located in a stunning setting, right in the heart of the New Forest. It is close to the village of Brockenhurst and you can choose to take long walks, book a horse ride or cycle on acres of lovely paths and tracks, getting right up close to the New Forest animals. The Rhinefield House Hotel has lots of New Forest Christmas accommodation offers for you. You can choose a lunch or perhaps afternoon tea treat. May be you'd like to buy a gift voucher as a Christimas present to book a special day out or treat, or a Detox Spa Experience or Spa gift vouchers. While you're there you could even book your Wedding or visit a Wedding Fayre and take advantage of any offers they may have. It's a stunning location in a beautiful New Forest woodland setting. There are wonderful walks to go on and it is a great place to hire a bike and enjoy a New Forest cycle. Arrange to hire a bike from nearby Brockenhurst and set off across the New Forest and explore - it's flat and easy on the legs! Hotel TerraVina is another favorite hotel of mine. This year they are offering shopping breaks for you to enjoy. This beautiful boutique hotel offers a truly unique New Forest experience if you stay here! You'll be greeted by one of the world famous Hotel TerraVina dogs in various shapes and sizes as soon as you step into the welcoming and beautifully designed hotel. And you can buy one too! This hotel offers a wonderful dining experience and at times you can even learn how to slice the top off a bottle of champagne - with a sword - surely a unique New Forest experience?? This hotel has a true passion for fine wine and food. They have special events and offers throughout the year. I always recommend them for Valentines Day and also Mother's Day treats too each year as I believe you'll have a great time either for a romantic break or to treat your dear old(?) Mum! 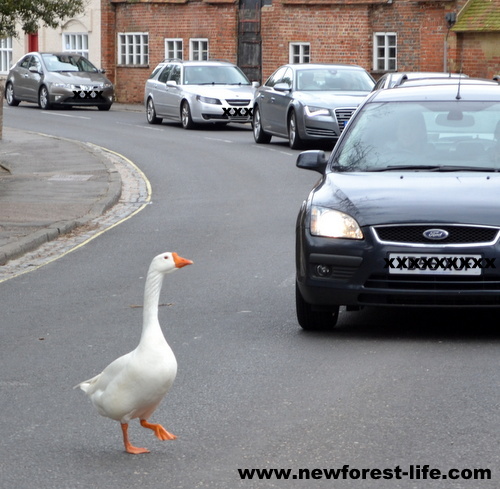 New Forest Christmas goose in Beaulieu High Street? 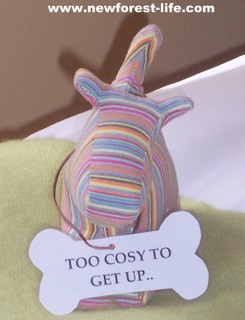 So just a few suggestions from me of where you could go to enjoy Christmas New Forest events stays or good old shopping! Whatever you do and wherever you go I hope you have a wonderful time!